Caregivers must diligently practice self care to preserve themselves and prevent burnout. Caring for others in need can place a burden of stress and negative energy on a caregiver, which in turn can stimulate old stress and pain from their personal history. It is essential for a caregiver to know themselves and recognize the troubling emotions and physical sensations that build up in their bodies – warning signs that fatigue and depletion are catching up with them. With the right approach, caregiving can be a fulfilling source of nourishing, positive energy. 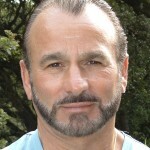 Peter M. Bernstein, PhD is a coach, mentor, educator and trainer with over 47 years of experience providing strategies for enhanced performance and relief from trauma. An Army infantry veteran who served stateside during the Vietnam War era, he feels a deep commitment to meeting the needs of veterans and their loved ones and caregivers. Peter’s approach utilizes a combination of coaching, mentoring and bodywork to offer hope and healing through transformative resilience.